hope you are having a terrific Wednesday...it is the half way point *woot*!!! Cannot wait for the weekend~I live for those, LOL! I don't have a lot to say today, so lets get on with the card. I recently submitted this one for a publication, but it didn't make the cut~oh well, I still like it. 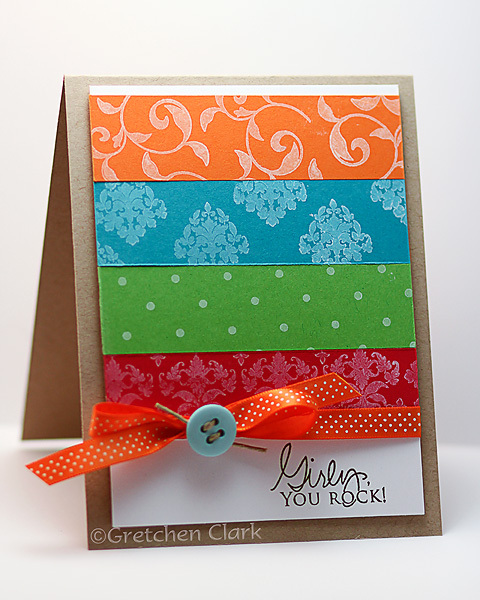 Really bright, cheery and colorful.